Sports card Consumer Studies begin at the top – with the finished cards themselves -- and drill right on down! From the range of information available on them it is apparent that many people collaborate to produce a set of cards. Examine several different cards. What kinds of skills and employment are involved in the production of trading cards? Study the photographs on the front of a set of cards. * Can you conduct a survey of equipment used? As a sports or entertainment star, you are the subject of a trading card! * What salary might you earn this year? * How much money will you need to live per week? * Remember to include travel/road expenses. * What might you do with any extra income for your family and its future? For your community? What admission do you pay when you go to see a game? Or other entertainment event? * How many seats does your closest facility hold? 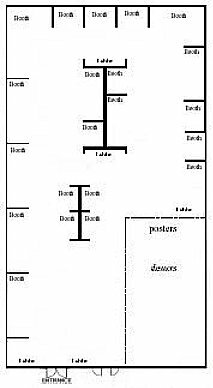 * Sketch a map of the facility, showing the different seating ranges. * How do prices range depending upon seat location? * Why do prices differ? 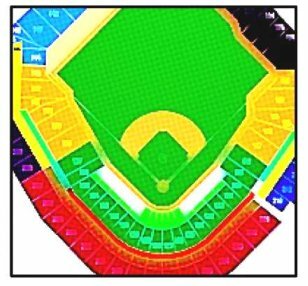 * Assign the average price per seat for each different area. * What kinds of expenses does the facility have even when no games are played? * What else does the facility offer to help pay its daily expenses? Sports cards make neat study units in consumer trends and commodity values. * Where can you find sets of cards for sale or collection? * What features help the seller set the selling price? * What is a “rare” card? What features make it valuable? How do trading card expositions divide up floor space? * How many people would be needed to run a sports card expo in your school? * What responsibilities would each person have? * How would you calculate the ticket price to be paid at the gate? * To break even, how many people paying your ticket price would need to attend? When we speak of business today, we're speaking e-business. Many universities and community colleges offer e-business building courses that feature Solo Build It! as the program offering quick, powerful tools for building an e-business website, block by block. Want to make a great addition for your Consumer Studies / Business / Economics curriculum? Check this out. Hop from Teaching Consumer Studies from Sports Cards over to the consumer Specialty Menu Market page of a 6-part Food Menu unit! 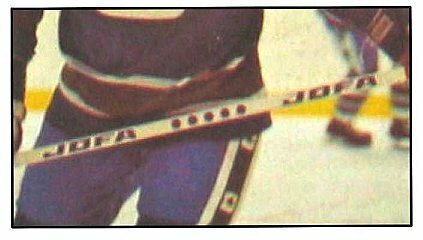 Return from Teaching Consumer Studies from Sports Cards to Sports Cards hub page for even more sports card teaching ideas! Return from Teaching Consumer Studies from Sports Cards to Real World Content Advantage home page.